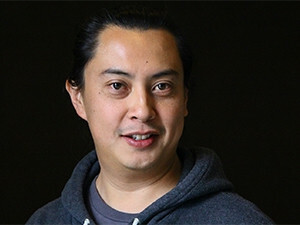 Craig Wing was one of the keynote speakers at ITWeb's Digital Economy Summit. Millennials are already in the workforce, but will dominate it within the next five years. Craig Wing, a partner atFutureWorld International, was one of the keynote speakers at ITWeb's Digital Economy Summit this week, and spoke about how and why organisations should start preparing for their future employees. There has been a shift in the way companies operate thanks to the advent of digital, said Wing, and the generation that grew up in that world have a different way of thinking. Millennials are currently aged between 19 and 36. He noted the world as we know it can be broken into three categories: the traditional economy of buying and selling, financial capital which is essentially about betting (stock exchange), and the creative economy which favours access over ownership. Wing said most South African companies operate within the first two categories and some are not aware of the shift, or how to make it. Companies like Uber and Airbnb operate within the creative economy. Wing explained that millennials function in a hyper-connected world where knowledge is easily accessible through smartphones, using technology is second nature, they have complex unstructured relationships, there is openness and it is fast. However, Wing said they work in traditional environments that guard their knowledge, where technology is 'precious', are reluctantly interactive, have structured relationships, and are reactive and resistant. "This is a collision of worlds, and the current workplace is contradictory to everything they know." The workplace environment and experience is more important, said Wing, for millennials than a one-track career trajectory. The 'experience' includes collaborative workspaces, being able to work remotely, flexibility, and favouring output over time, among others. Examples of companies implementing these techniques include Amazon, and Toyota introducing six-hour work days, and others who have done away with yearly performance reviews. Wing said performance reviews are likened to scolding a toddler in December for eating too much ice cream in February. The solution is unique to every company. However, organisations that do not make some provisions for millennials will notice a high turnover rate in staff because they will not have created an environment where they want to stay. More information can be found on his Web site here.